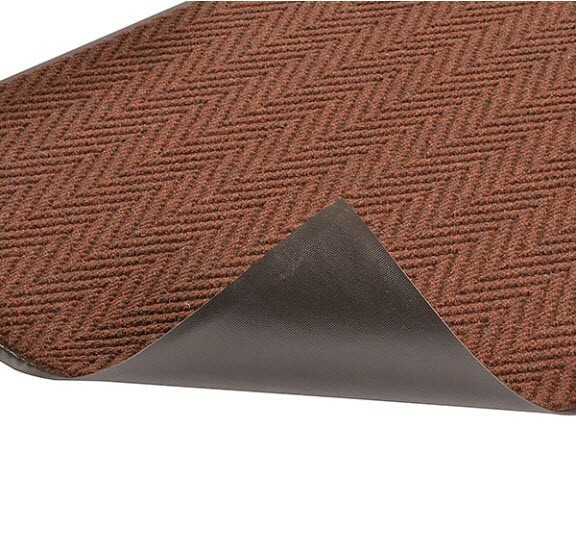 Arrow Trax™ Antimicrobial offers all of the same durability, functional benefits, and aesthetic appeal as the original. 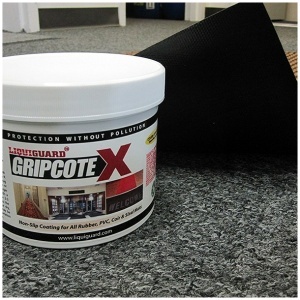 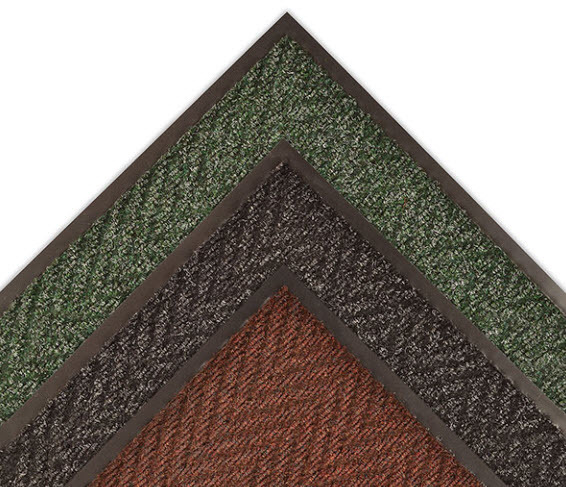 Intended for use in high traffic areas, a full 38 ounces of needle-punched yarn per square yard provides the highest degree of crush resistance, while the durable herringbone pattern offers non-directional scraping action and moisture retention. 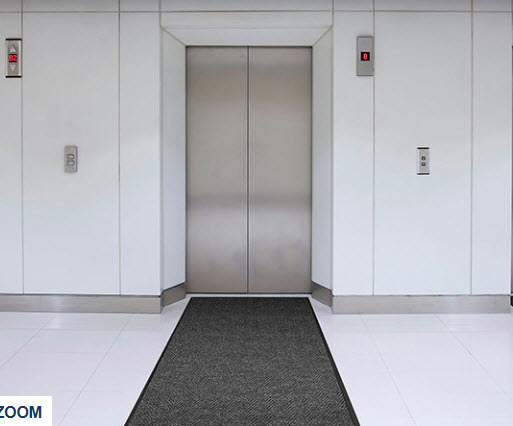 Arrow Trax™ Antimicrobial also features an antimicrobial carpet treatment that stops most Gram positive and Gram negative bacteria and fungi at the entrance. 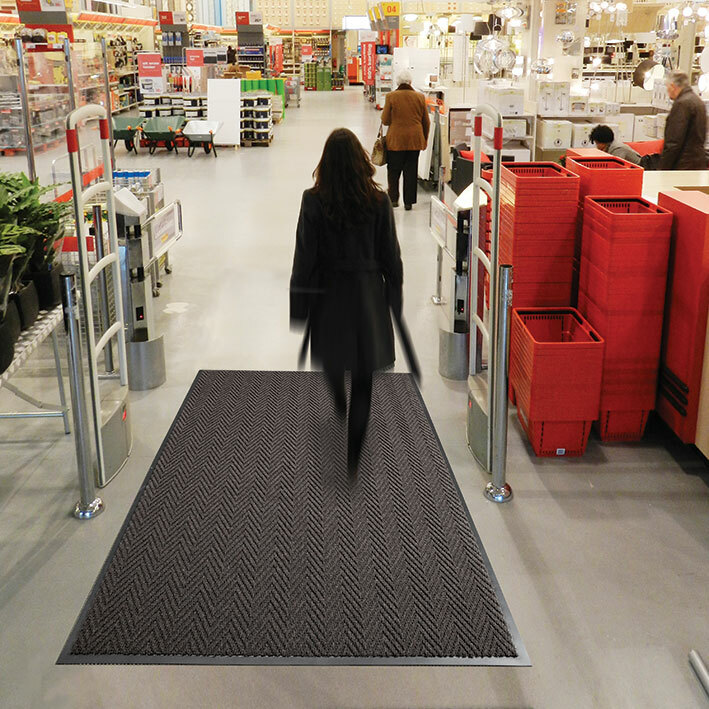 A vinyl non-slip backing makes it the perfect entrance mat for smooth surface floors like linoleum, wood, or tile commonly found in main entrance ways.